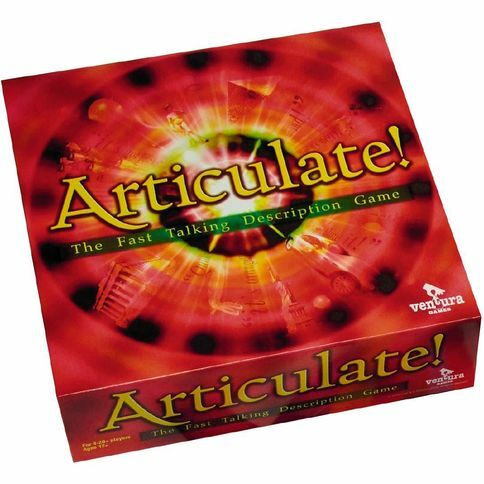 Home / Tabletop / Board Games / Articulate! 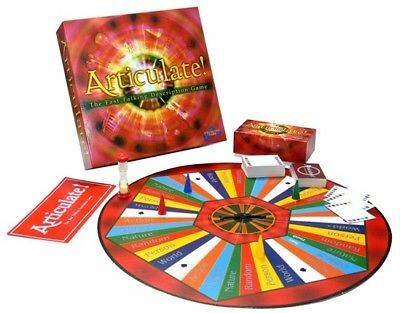 Try to get your partner to say as many words from a particular category written on the cards within the thirty second time limit, you may only pass once. Move your team pawn forward a number of spaces on the board equal to the number of words you got correct. If you land on an Orange or Red space, spin the spinner for a chance to move yourself 2 or 3 spaces forward, or move an opponent piece 2 or 3 spaces back. If you land on a spade space, try to get you team mate to say the word on the card before any other team can say it. Whoever answers correctly gets a turn immediately.